Hi, I'm Phan, your Destination Expert. The choices below are based on the trip you selected, feel free to customize them according to your preferences. Select the regions of Vietnam you would like to visit. Your preferences are pre-selected based on the trip you’ve chosen. Feel free to change them! 2. 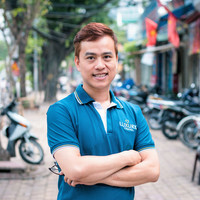 What experiences are you looking for in Vietnam? Yes, Phan can send me a non-binding offer. "The trip was very well planned and excuted through out the entire trip. Everything worked very well guided and drivers always prompt and professional ."